The first of two shipments of pile clusters and flotation tanks has arrived at Kvaerner’s yard in Verdal, Norway, this week. The structures are scheduled for installation on the first and largest steel jacket that will be used on the Johan Sverdrup projects. 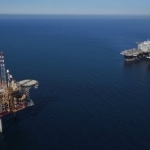 “The riser platform for Johan Sverdrup will be the biggest and most complex jacket from Kvaerner so far,” the company informed in a statement. The four pile clusters and the two sets of flotation tanks weigh approximately 7,000 tonnes and will be unloaded from transportation vessels to Kvaerner’s quay at Verdal, the company stated. 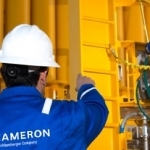 Kvaerner focuses on large steel jackets delivered in the North Sea region and has delivered 43 steel jackets for offshore platforms over the past 43 years. 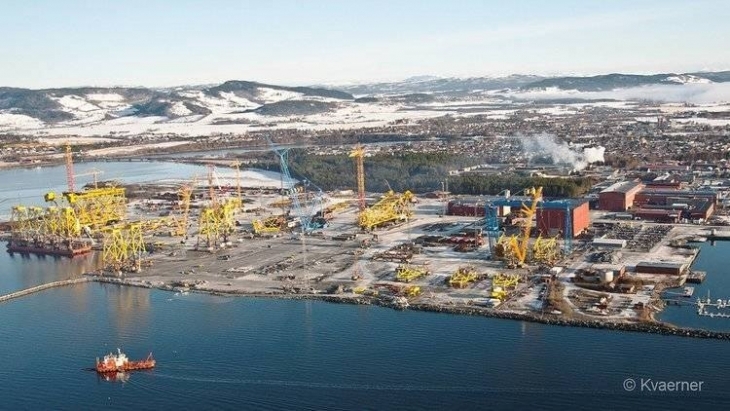 The jacket headed for the Johan Sverdrup project is currently under construction at the Verdal yard. 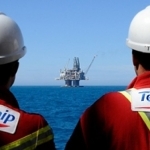 The Johan Sverdrup oil field is scheduled to start production in 2019 and is expected to be one of the most important industrial projects in Norway over the next 50 years. 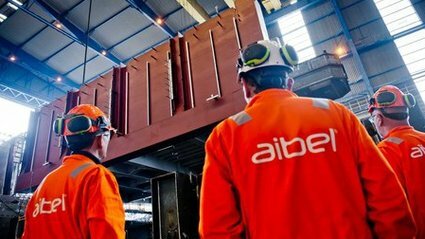 In the meantime, Aibel has completed the first drilling deck section of the drilling support module on the Johan Sverdrup platform. The final drilling support module will have six decks, and will be one of a total of three modules for the Johan Sverdrup drilling platform. The hoist was also one of the first tests for the North Sea Hall’s new cranes, part of a major upgrade to prepare the yard for the Johan Sverdrup project. According to Aibel, it was the heaviest section ever hoisted in the North Sea Hall. The next large hoist on the drilling support module is planned for the beginning of October, when the 521 section arrives from the Vistal yard in Poland.